im praying june gloom doesn't come early! Hey Messy Girls! I’m Lindsey from Peace Love Sequins! My blog is mainly about fashion and style! I feel fashion is a great way to express yourself and there is always something for everyone! The main topics I write about are Fashion + Style, Beauty, Runway Style, and Tips + Tutorials! My dream would be to work for Harper’s Bazaar! I am seriously a Disney addict! Disneyland is my second home. I walk terribly in heels, although this is something I am working on! I am married and have two adorable kitties, Max and Rocky. I grew up in Southern California but I am braving the Denver cold to finish school! It’s not about being famous! It can be hard seeing all these big time bloggers and even those who actually make a living blogging and feel that you could replicate their success. This should not be the reason you blog. You should blog for you and if people follow great, if you end up being able to make it into a career great! But it should not be your number one goal! Experiment! Try new things! Blogging is great for finding and trying new things! I have came across some awesome products or companies through blogging! Plus once you try something new it is always fun to share your experience with your readers! Comment, Comment, Comment! This is something I am awful at. But being a great and active commenter on your favorite blogs is a great way to build community and make friends! A lot of times the blogger will even come back and visit your blog! I have met some awesome blogger through commenting! I even showcased my top commenters for my blog first birthday! I hope this tips helped! 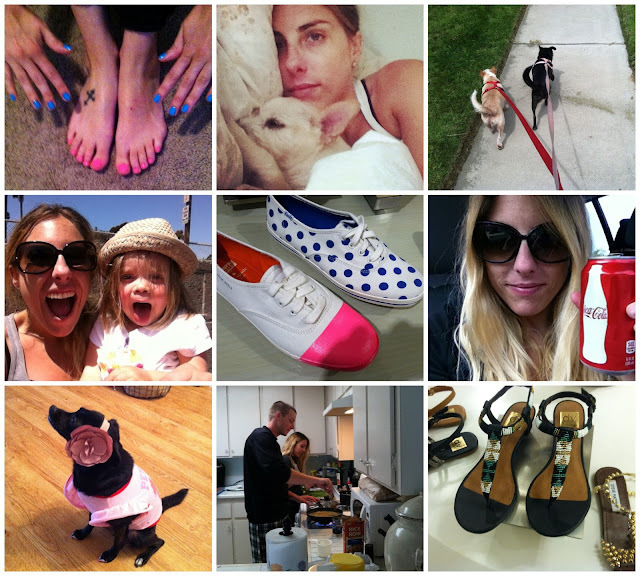 And I loved being able to take over Kelly’s blog for the day! how freaking adorable is her blog header!? ....& great blogging tips! SO today is def your lucky day because Lindsey is offering one lucky winner ONE YEAR of Large Ad Space on her blog!!!! Can't get more exposure than that! SO good luck & be sure to say hello to Lindsey! Love all the pics and totally entered this awesome giveaway! those keds are adorable! It literally rained here allllll weekend so let's just say I wasn't the most productive person alive. Lindsey is awesome. Love her blog. Not to rub it in, but we had gorgeous weather. Even laid out and got some sun yesterday! LOVE those DV sandals! What a fabulous giveaway too. I agree, a definite NO to the keds! 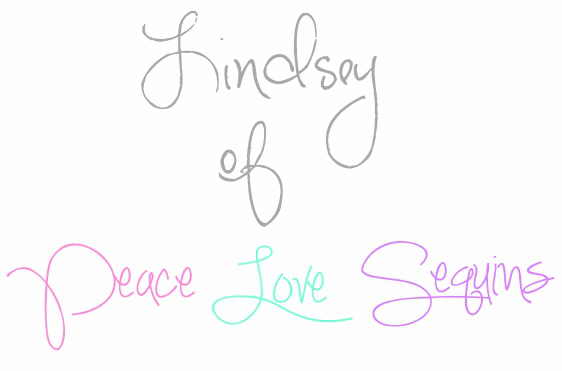 And I LOVE and cannot wait to meet Lindsey and her blog!!! How adorbs is Lucy?! That headband is soooo cute!!! Love the coke pic, you look gorg! Andddd I agree, no bueno on the kate spade keds! I'm waiting for the nice weather so I can paint my nails a bright colour and wear sandals again. Cute nails! I totally just saw you on that HuffLive with Andy. I am soooo jealous, how did you score a chance to talk to Andy himself? Awww I loved your weekend pics!! I also entered the giveaway, which is pretty amazing. Have a great day!! 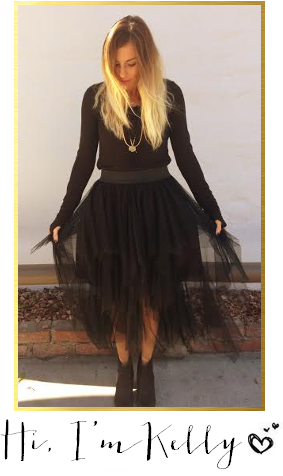 I'm in love with your guest posts and getting to know your sponsors, thanks Kelly! Nothing like retail therapy, rain or shine! LOVE that you made the best of your weekend despite the ugly weather. I love your blog and your story. I do not do my hair or make-up. I just feel like I have better things to do with my time and this is what I look like - if you don't like it, don't look. Yay I would love to win this giveaway! So awesome!!! Nike Sportswear introduces their newest Air Max BW Ultra release with this Nike Air Max BW Ultra SE Action Red colorway.Dressed in a Action Red, Gym Red kevin durant shoes and White color scheme. The shoe features an all-Red foam upper and the classic cushioning for comfort with every step. Completing the look is a clean White midsole.Check out KD shoes the additional on-feet images below and look for this Nike Air Max BW Ultra SE “Action Red” colorway available now through shops like Titolo, as well as Nike.com. The Nike Air Max 2016 retail price tag is set at $140 USD. The Nike Flyknit Racer is one of the more popular running shoes on the market. Today, we take a look at Nike Hyperrev what appears to be an upcoming Black Nike Flyknit Racer colorway.This Nike Flyknit Racer comes dressed in an almost “Triple Black” color scheme. The runner features a single-layer Nike Nike Shoes Flyknit upper in Black that wraps around your foot in a second-skin fit for incredible lightweight support. The Nike Swoosh logos on the sides blend throughout the Flyknit construction kevin durant shoes – which makes them hard to see. Finishing off the look is a Bright Red insole and White midsoles.Check out the additional images below and stay tuned to Sneaker basketball shoes Bar for more updates on this Nike Flyknit Racer as they develop. Nike Sportswear debuts their latest set of the Nike Roshe One with this newly released Nike Roshe Kyrie 2 One Perf Dot Pack.The pack includes three Nike Roshe One colorways that come in your choice of Team Red, Black with Volt accents, and an all-White pair for Summer Nike Outlet ’16.